Check out The Imaginary by A.F. Harrold! Get ready for an imaginary adventure! Join Amanda Shuffleup and Rudger on their adventures! 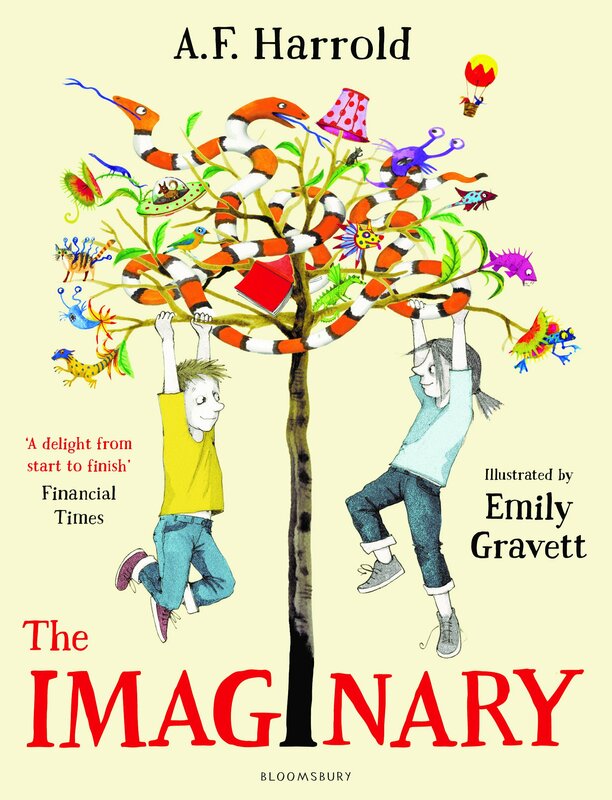 If you love reading Roald Dahl books, you’ll love reading The Imaginary by A.F. Harrold! Amanda has a very special friend called Rudger. There’s something extra special about Rudger though, because he’s not real. He’s actually imaginary! Amanda thinks she’s the only person who can see Rudger, until bad Mr Bunting arrives at Amanda’s door! Although Mr Bunting can see imaginary friends too, he isn’t very nice because he hunts imaginary friends! There’s even a rumour he eats them too! Rudger needs to escape before he’s hunted, but imaginary friends need someone to imagine them. The Imaginary is out now. Click here to find out more! The book has lots of really colourful illustrations by Emily Gravett! Emily is an illustrator, and illustrators draw pictures in books, animations, computer games and websites. Watch the video below to see Emily drawing for The Imaginary!